Color : Beige. Never transfer it to the third-party. About privacy. Color : Grey. ※"N" condition may be clothes alterations such as hem is shorten. Never transfer it to the third-party. About privacy. Color : Grey. ※"N" condition may be clothes alterations such as hem is shorten. Color : Brown. Never transfer it to the third-party. About privacy. ※"N" condition may be clothes alterations such as hem is shorten. Never transfer it to the third-party. About privacy. Never transfer it to the third-party. About privacy. Better for Small Bust. Halter Design. 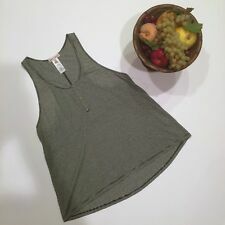 NWT Wish & Whim Racerback tank from Charlotte Russe. The drapey design is stylish for the upcoming spring months.